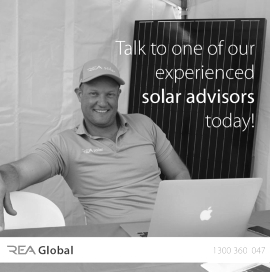 Brett Haughtey, Business Development Manager of REA Solar has 18 years experience as a licensed electrician. He will take you through the 5 key points he has developed from speaking to thousands of home owners about their electrical usage and how to save on their bills. This is what every home owner should know before going solar! Brett will also discuss REA’s latest innovations, from how solar panels can take up less room on your roof to integrated battery storage.